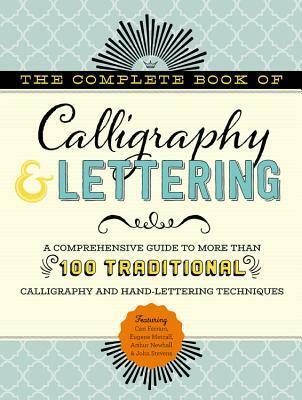 The Complete Book of Calligraphy & Lettering provides expert instruction on the intricacies of traditional lettering techniques, as well as an introduction to contemporary hand-lettering formats. 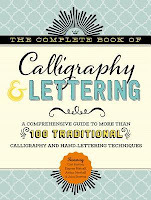 From selecting the appropriate tools, such as pens, nibs, brushes, inks, and papers, to learning optimal hand positioning and understanding the intricacies of lettering angles, heights, spacing, and strokes, The Complete Book of Calligraphy & Lettering will help lettering enthusiasts swiftly master their craft. Step-by-step lessons, practice templates, and a range of stunning alphabets demonstrate the breadth of artistic achievement that comes with practice and dedication. Four professional artists guide you through traditional calligraphy techniques, as well as an introduction to contemporary hand-lettering art forms, such as brush lettering and mixed media, for a well-rounded approach to the craft. Additionally, a short section on Chinese brush lettering and several mixed media lettering projects inspire creativity and demonstrate how calligraphy and lettering can be used in wider artistic contexts and projects. Including practice templates for several featured alphabets in addition to mixed media "bonus" projects designed to inspire artistic creativity, The Complete Book of Calligraphy & Lettering will inspire lettering enthusiasts of all skill levels to strengthen their existing skills and delve into new, lesser-known variations of the trend.